All Conwy Physio Clinic physiotherapists are members of the Chartered Society of Physiotherapy and of the Health Professions Council. Since graduating in 2002 Ruth has gained a wide breadth of experience from working in the NHS, private practice and at Sale Rugby Club as a physiotherapist. 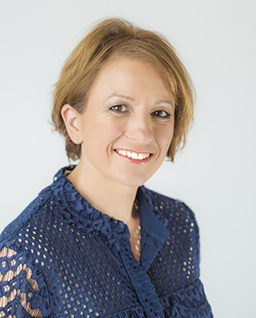 Ruth specialises in musculoskeletal conditions, enhancing her depth of knowledge and experience in this field by also gaining a diploma in orthopaedic medicine. Additional postgraduate training includes acupuncture and advanced training in the sacroiliac joint (pelvic area) and the shoulder. Ruth has also completed McKenzie training and promotes these principles in the management of back pain. Living in North Wales allows Ruth to follow her love of fell running, successfully competing in a number of local race events. It is this passion for athletics and sport that allows Ruth to understand and appreciate the frustrations and challenges that come with injury. Ruth is a great believer of prevention being better than cure and encourages patients to follow programs which help develop robust core strength and stability. Ruth Partridge Through being a provider to the "Access to Work" and "Fit For Work" national government programmes Ruth developed a keen interest in the support of individuals being able to remain and/or return to work following injury. Ruth is a member of the Association of Chartered Physiotherapists in Occupational Health and Ergonomics (ACPOHE). She is qualified to provide Display Screen Equipment (DSE) assessment & reports to businesses as well as assessing Fitness for Work & Function. 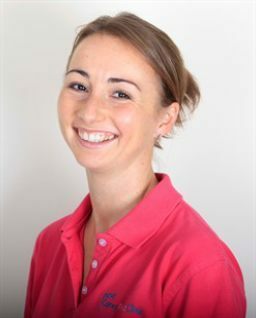 Ruth founded Conwy Physio Clinic with the aim of providing a friendly, professional and comprehensive physiotherapy and occupational health/ergonomic service to Conwy and the surrounding areas. Appointments can be made with Physiotherapists specialising in musculoskeletal, neurology and respiratory. Please contact the clinic for further information. Andrew joined us at the start of 2017 and has been greatly received by both existing and new clients alike. He is a member of the Federation of Holistic Therapists (FHT). 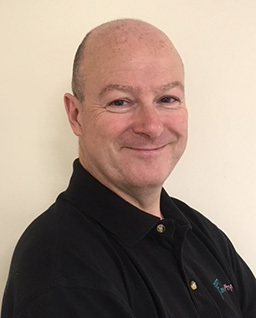 As a keen practitioner over the past 30 years of the martial art of Aikido Andrew had experienced the benefits of shiatsu and makka-ho, (a Japanese form of massage and stretching), in helping him with his sport. From this stemmed an interest in massage and it's benefits which led him to enrol at the Thai School of Massage in Chiang Mai, Thailand in 2010 where he gained a Diploma in Thai Massage. Upon his return to the UK Andrew further increased his knowledge and skill set by enrolling at the Royal National College for the Blind & Visually Impaired in Hereford. Here he completed an ITEC residential course in remedial and holistic sports therapies. This resulted in Andrew gaining a Level 3 Certificate in Sports Massage and ITEC Diplomas in Holistic Massage (Swedish), On-Site Chair Massage and Reflexology. Andrew has been a masseur for the NFTO Pro Cycling Team at a training camp providing post event massage following training tours. He has also provided his services at various charity events giving experiences in reflexology and on-site chair treatments to members of the public.